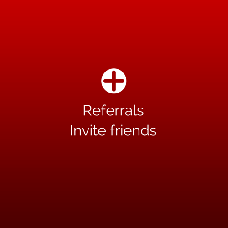 Referral links add-on lets site members earn bonuses by inviting friends to join the site. This is how it works: a person clicks 'Invite a friend' button and writes a friend's email address in the window that pops up. An email is sent directly to this address. You as site admin can edit the text of the email from the administration panel. In the module settings you can also set up the bonus amount that will be added to the inviter's internal account, in the site currency. After the friend who's been invited joins the site, the sender receives the bonus to his/her account on the site. Contact sales@pilotgroup.net or come to the live chat if you have any questions or require assistance.